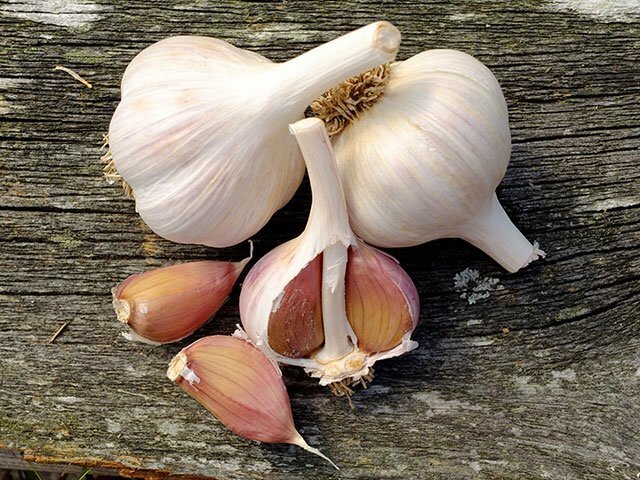 All our garlic varieties will keep well (shelf life varies depending on varieties) if there are kept in a dry location at room temperature (at least 20°C). 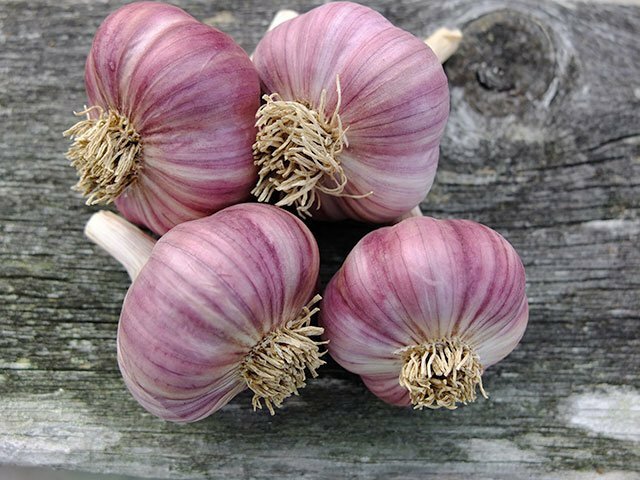 Garlic can be kept in a cupboard or on the kitchen counter (away from the sink or other damp locations). You can keep it in a brown paper bag or wicker basket, but never in plastic containers or plastic bags. All our garlic varieties are planted in the fall (referred to as fall garlic), about one month before the first hard ground frost. This allows the garlic cloves to start growing roots until winter sets in, at which point the garlic will go dormant. 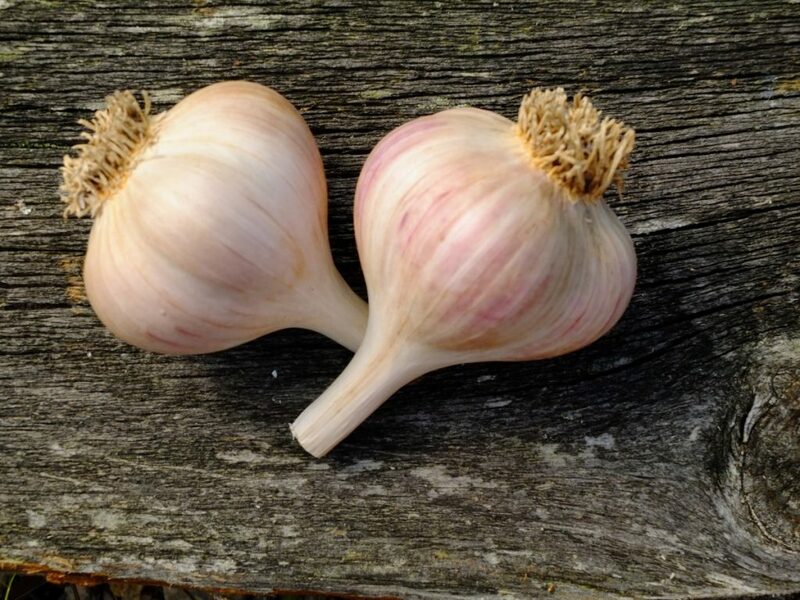 By storing your garlic at 20°C or more, you prevent your garlic from going dormant, so the germ (green filament at the centre of the bulb) will grow very slowly, thus ensuring your garlic remains firm and juicy longer. Garlic can also be frozen, so you will still have access to quality garlic until the next season. All you need to do is to divide the cloves (keep the wrappers (skins) on) and put them into a Ziploc bag. Remove as much air as you can and keep in the freezer. Once you have used up all your fresh garlic, you can use your frozen garlic. Simply run the frozen clove(s) under warm water to remove the wrappers and put into your garlic press as soon as it is unfrozen enough to be crushed (don’t wait too long or it will be mushy).